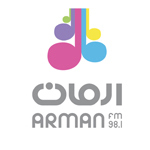 Launched in 2003, Arman FM took war-weary Afghanistan by storm. The first commercial pop-music radio station, it pushed the limits of social conservatism and delighted Afghan audiences with music and talk-shows. Translated as “hope” in Dari, Arman FM continues to inspire, engage and connect young Afghans through an innovative mix of competitions, talkback, comedy and vox pops to maintain its leading edge in urban centers.